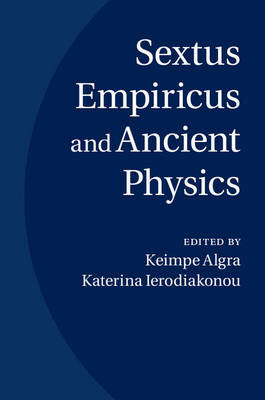 The two books of Sextus Empiricus' Against the Physicists have not received much attention in their own right, as sustained and methodical specimens of sceptical philosophy. This volume redresses the balance by offering a series of in-depth studies on them, focusing in particular on their overall argumentative structure and on the various ways in which their formal features relate to their contents, showing how Sextus' procedures vary from one section to the other, and throwing new light on the way he was using his sources. It follows Sextus' own division of these two books into nine successive topics, namely god, cause, wholes and parts, body, place, motion, time, number, coming-to-be and passing-away. These nine chapters are preceded by an introduction which discusses a number of general features of Sextus' scepticism and links the conclusions of this volume to some recent discussions on the scope of ancient scepticism.